In 2008, after they had played one show in California, Girls flew to New York to play four more. Then they went to Paris. In the four years since, they became a juggernaut of love songs. 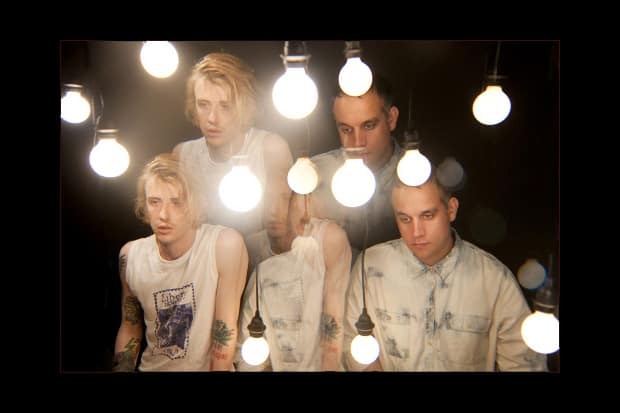 Fueled by the relationship of the band's two principal members, Christopher Owens and JR Smith, they released two albums and an EP before Owens dissolved the group earlier this month. In tribute to their power, both as a band and as a leaders of a scene, their record label head Dean Bein of True Panther has written a kind farewell to the group. "I am thankful that Christopher’s songs came at a very unsure and relatively dark point of my own life, that it brought me strength, and a portal to pursue my own dreams," he writes, and it is sure that there are innumerable fans who feel the same. Along with the post, Bein has posted an early recording of "Forgiveness," arguably their most potent song. Though it wasn't officially recorded and released until late 2011, this recording is from that ’08 New York trip, played live by Smith and Owens on WNYU. It's much more quick and lean, and Owens' voice sounds so brand new. But it's effective for its amateurishness, something more than a relic and closer to an early warning that, years later, is still so striking.